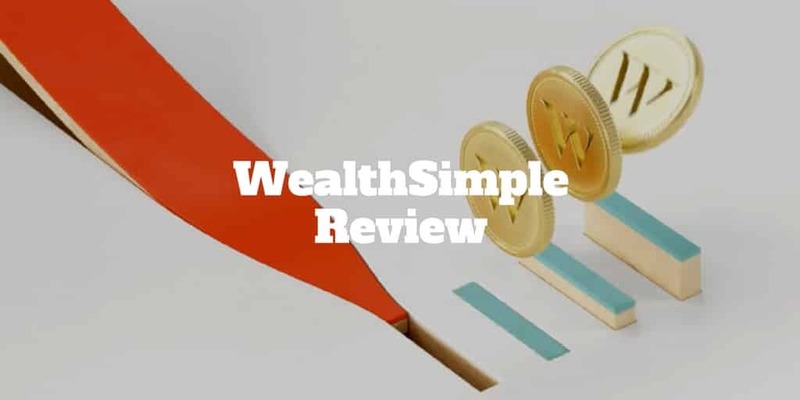 Home › Investing › Wealthsimple Review – $10,000 Managed Free for 1 Year! Wealthsimple Review: When Michael Katchen and Brett Huneycutt founded Wealthsimple, they had the goal to make it easy to invest on auto-pilot. Fast forward a few years and the company has succeeded marvelously by delivering a world-class robo-advisor to U.S. and Canadian clients with over $3 billion in assets under management. Like other robo-advisors, Wealthsimple automates the investing process, so you can be hands-off. The usual bells and whistles you might expect from a top notch robo-advisor are provided: tax-loss harvesting, tax-advantaged investing, automatic rebalancing, and even socially responsible investing options. Included in the annual fee of 0.50%, you can also get unlimited access to human advice. With deposits over $100,000, the fee drops to 0.40% annually as part of the higher tier service, Wealthsimple Black. A bonus for new Investormint customers is your first $10,000 is managed free for the first year. Wealthsimple has two tiers of service, Wealthsimple Basic and Wealthsimple Black, depending on how much you deposit. For account balances under $100,000, investment management fees are 0.50% annually while above that threshold, fees are 0.40% annually. In addition to slightly lower annual fees, Wealthsimple Black clients also receive access to VIP airline lounge access. Anyone can schedule an appointment with a human financial expert. Wealthsimple uses a mathematical investment model to minimize risks to investors when they put their hard-earned cash into the stock market. It is one of many robo-advisors to use this Nobel Prize-winning method. The key to understanding the Wealthsimple method is to understand the idea of diversification of investments. You might think diversification simply means buying a lot of different stocks, but this isn’t quite accurate. Obviously, you don’t want to put all your eggs into one basket because if that one stock falls, you’ll lose a lot of money. But similarly, you don’t want to put all your eggs into similar baskets. Some stocks are in correlated industries – that is, industries that impact one another. For example, the automobile and energy industries are correlated. Vehicle performance depends on the availability of gas. So if there’s a crisis in the energy industry, such as a shortage of oil, that’ll negatively impact the auto industry. If you own stock in both an oil company and an automobile company when a crisis hits, BOTH stocks will go down in value. That is an example of putting all your eggs into similar baskets. Conversely, if you invest in industries that have little or nothing to do with each other, then even if one industry suffers a crisis, the other will remain stable or even grow! The Wealthsimple investment method encourages this type of diversification to protect you against needless losses. The Wealthsimple method looks at your portfolio as a whole, not just on individual stocks. Any one stock you could invest in is a gamble. Stocks go up and down all the time for reasons that are sometimes hard to predict. But if you have a balanced portfolio, then the performance of any one stock ceases to be as important. Instead, Wealthsimple focuses on how the portfolio as a whole is doing and attempts to keep your portfolio balanced. Its interest is in making sure your total investment grows, not merely in the growth of the individual stocks in the portfolio. A balanced portfolio, such as the one above, has exposure to a range of asset classes, including U.S. stocks, foreign stocks, emerging markets, municipal bonds, inflation-protected securities, government bonds and high-yield bonds. Wealthsimple offers tax-loss harvesting and tax-advantaged investing to all clients in order to boost after-tax returns. To lower your tax bill, Wealthsimple practices tax loss harvesting. The way it works is losing investments are sold to count against winning positions, and those losers are replaced by similar securities. If you were to sell a loser just for tax reasons to lower your capital gains tax rate and buy it back right away or within 30 days, the tax benefit would be disqualified by the IRS based on the wash-sale rule. On the other hand, you can sell an ETF that tracks U.S. stocks on the Dow Jones Industrial Average and purchase a similar one on another exchange, say the NASDAQ, without violating any rules. As you can imagine, tax loss harvesting can get a little tricky and it would be time consuming to make changes manually which is why the automated approach Wealthsimple provides is so valuable. Tax-loss harvesting doesn’t exempt you from paying taxes to Uncle Sam but it is a way to defer taxes. You can think about it as an interest-free government loan. When markets fall, tax loss harvesting can build up a nice tax credit that you can use in the future. Wealthsimple reinvests dividends, automatically rebalances portfolios and allocates assets to socially responsible investments if clients wish. Beyond tax loss harvesting, Wealthsimple uses other investment strategies to boost your returns over time. Some estimates from Professor Jeremy Siegel of the Wharton School of the University of Pennsylvania are that as much as 95% of wealth over most of the 20th century is attributable to dividends. Reinvesting dividends may not seem like they make much of a difference in the short-term but over time they can really add up. The way it works is when a stock issues a dividend, you can elect to take the dividend payment in the form of more stock instead of cash. It’s a cheaper way to buy stock because you don’t pay the higher brokerage commissions costs to purchase more shares. And over time, “small” dividends compound and can ultimately produce large gains. When you start investing, you will typically have a target allocation that matches your financial goals and risk profile. If you are young, you probably have more stock exposure and if retirement is nearby you will typically have a greater composition of bonds. The problem with allocating your assets and sitting back to watch them grow over time is that investments grow at different rates causing your allocation to skew in favor of some securities. Automatic portfolio rebalancing is practiced by Wealthsimple to make sure investments that drift are modified to bring the overall asset composition back in line with your target allocation. If you care about how your dollars are invested and want to make sure they are aligned with your values, socially responsible investing is an innovative option and rare among robo-advisors. The challenge historically with SRI portfolios is expense ratios run at a higher cost than standard ETFs – typically because more due diligence has to be conducted to gauge how well the securities are performing when compared using social impact metrics. These costs run a little higher at Wealthsimple too, though it should be noted that they are set by the funds, not by Wealthsimple. Wealthsimple is great for beginners and millennials, as well as investors who prioritize after-tax returns and don’t want to be nickeled and dimed with hidden fees. The annual cost is higher than some other robo-advisors charge but the personal touch and support add a good deal of value, especially to Wealthsimple Black clients, who enjoy a fee break. Wealthsimple takes social impact investing seriously by featuring socially responsible investing ETFs, including a Halal portfolio approved by Shariah scholars. ✅ Socially Responsible Investing: Few robo-advisors cater to socially responsible investing that tackles issues, such as gender diversity, cleantech, and environmentally friendly companies, but Wealthsimple allows investors to align investment dollars with values as part of social impact investing. To emphasize just how seriously Wealthsimple takes socially responsible investing, it even has a Halal portfolio of 50+ ETFs that has been approved by Shariah scholars. ❌ Fees: Wealthsimple fees aren’t as high some rivals, such as Personal Capital, albeit the service level for the lower fees generally tends to be lower too so it really is a case of you get what you pay for. ✅ Tax Strategy: Wealthsimple recognizes the importance of after-tax returns by making automatic tax-loss harvesting and tax-advantaged investing free. ❌ Tools: Unlike Betterment, which has an extensive range of tools and financial calculators, Wealthsimple keeps tools to a minimum. You will find the basics at Wealthsimple but no extra frills to help you with retirement calculations and financial goals beyond its Magazine. ✅ No Minimum Account Balance: No minimum account balance is required to sign up to Wealthsimple Basic, but if you want access to Wealthsimple Black, the higher tier service that includesaccess to VIP airline lounges globally, you will will need to deposit $100,000. ✅ No Hidden Fees: You won’t get nickeled and dimed on fees at Wealthsimple. Instead, what you see is what you get so you won’t be hit with transfer, trading, or rebalancing fees. ✅ Human Advice: Wealthsimple offers unlimited access to human advice. As with many rivals, dedicated financial planning sessions are available with financial experts. Anyone can schedule an appointment with a human financial expert. Fees start at 0.50% annually and reduce to 0.40% for deposits over $100,000. Plus, new clients enjoy free managed service up to the first $10,000 for the first year. Alongside standard accounts, Wealthsimple supports retirement accounts, including Roth IRAs, SEP IRAs and traditional IRAs as well as Trusts. Automatic tax loss harvesting, tax-advantaged investing, and portfolio rebalancing are included in basic service. If you want to try out Wealthsimple, the barrier is low: FREE managed service for a full year on the first $10,000 deposited for Investormint readers! After that, fees are 0.50% annually up to the first $100,000 and reduce to 0.40% thereafter. Beginners who are getting started will find Wealthsimple has enough bells and whistles to beat most traditional advisors. Where traditional advisors may charge north of 1%, Wealthsimple charges about 50% less or better. Plus, you get free tax-loss harvesting, tax-advantaged investing and portfolio rebalancing thrown in as a bonus. 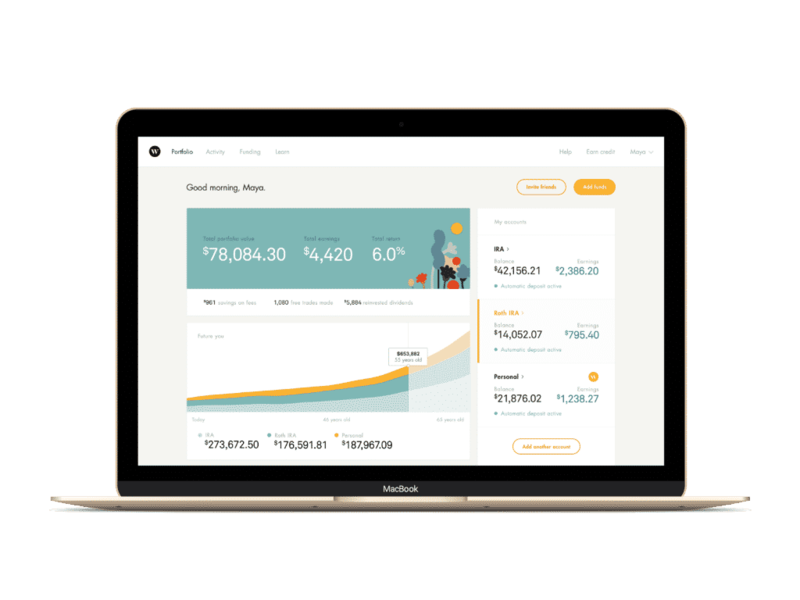 Wealthsimple supports a wide variety of accounts, including standard taxable accounts and retirement accounts, such as traditional IRAs, SEP IRAs, and Roth IRAs. Plus, you get access to socially responsible investing options so if you care about how your dollars are invested and want to make sure they align with your values, Wealthsimple is one of very few robo-advisors along with Betterment who support SRI portfolios. ‹ What Is The Pass Rate For The Series 66 Exam?